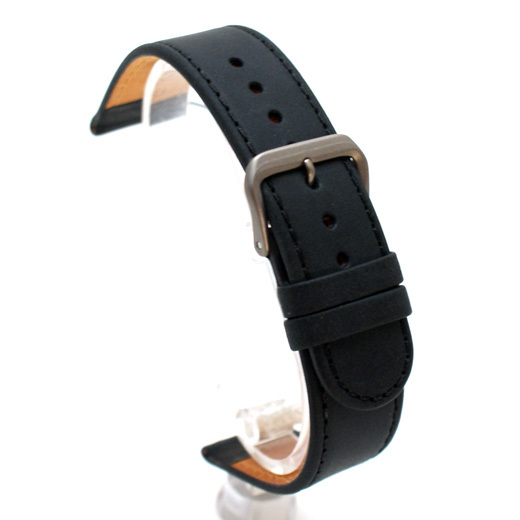 Finest Quality, hand-made in Germany with a great attention to detail, this is an black soft leather watch strap that is made using natural processes. 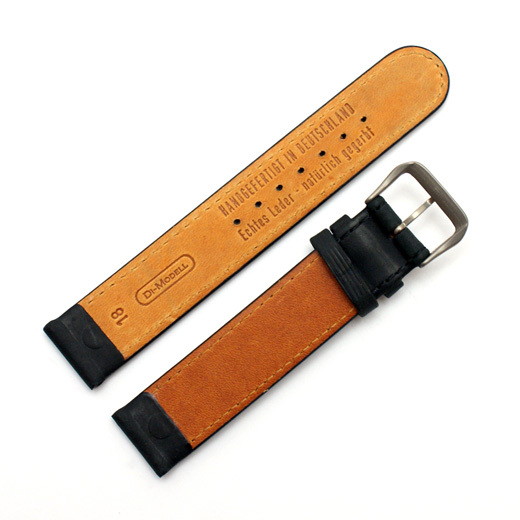 Natural straps are made of vegetable tanned leather, which does not have a typical tannery finish that would cover up dots, stretch marks, etc. but is instead allowed to be a 100% natural product. This can mean the straps have marks, dents or wrinkles on them and this is by design. The vegetable tanning process is also significantly gentler on the leather, more environmentally friendly and reduces the risk of allergic reactions. These straps have a finish similar to oiled leather and are also fitted with a titanium buckle to reduce the risk further. 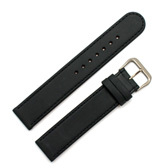 This strap will fit any watch were the distance between the lugs is 14mm, 16mm or 18mm (depending on the size you buy). Like all of our products, it is brand new and in stock in the UK, ready for our fast shipping. Not exactly what you are looking for? We have a wide range, see the women's watch strap gallery for our other options.